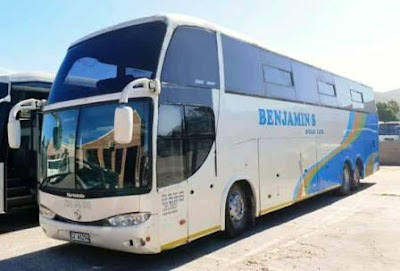 Benjamin's Bus Services has been established in 1999 by the late Mr. Benjamin, This family owned business is loved by all of those who have made use of their excellent services. 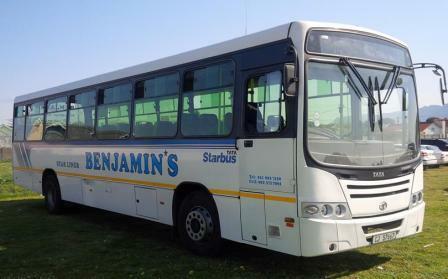 Making Benjamin's Bus Services, the bus hire service of choice in the Western Cape. They own the most Luxury Coaches in South Africa and some of them from Volvo, Scania, TATA and MAN bus maker with a beautiful bodies from Marcopolo and other maker in the world. Their buses hire choices come with comfortable seating and luxurious features ensuring you get to your destination relaxed and comfortable. All of their buses have an A/C services all the way long. Entertainment are available on their by buss whereby Television services switched on all the time passenger are on the board, Their buses also are fitted with modern sound system for you to enjoy the good music and much more. They offer a bus hire solution across the Western Cape for any occasion, They have built and established relationships in the surrounding area. Their focus is the Western Cape Offering their services to schools, institutions, public and businesses. They provide a premium cost effective luxury services catering to our client’s needs and budgets. Every day thousands of parents send their children to school with peace of mind knowing that Benjamin's Bus Services are delivering them to school and home safely. Phone: +27 21 862 7450, +27 21 8627547.